MUSIC IS ABOUT EXPRESSION. It brings me great joy to work with a student and help him/her grow not only as a singer, but as an artist. 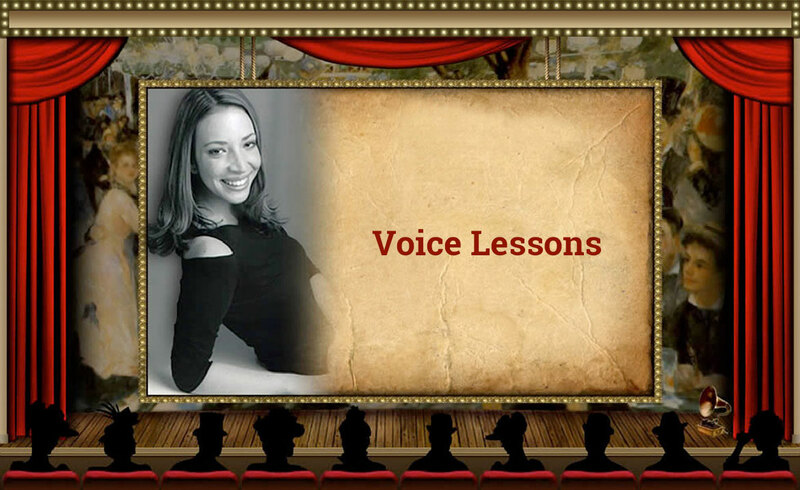 I have over 10 years of experience teaching voice lessons in New York City and performing in Musical Theatre and Opera productions throughout the United States. Additionally, I have a degree in Vocal Performance from Boston University’s School of Music and a Certificate from the Sound and Music Healing Institute at the New York Open Center. We each have a tremendous capacity to feel, to emote, and to convey our diverse backgrounds and life experiences through singing in a way that is unlike any other. Because no two individuals are alike, I tailor lessons to the personal needs and goals of each student. Ultimately means achieving your most free and natural sound. These vocalizations will help your voice blossom and grow as I identify your strengths and weaknesses as a singer. We will work on pitch awareness, range, projection, stamina, expression, depth of sound, vocal clarity and control, dynamics, resonance, and flexibility in order to achieve your greatest vocal potential. You will sing with less effort, release strain and tension, and develop a renewed sense of freedom in your singing. You will learn how to support your sound and train your muscles in order to sustain notes and sing with your whole being. By learning how your posture and alignment affect your singing you will free yourself from physical habits that stifle your sound and consequently achieve greater stage presence. You will discover what the exciting world of acting is really all about through utilizing dramatic intention, sensory exercises, and tapping into your emotional core. You will enhance your ability to express yourself through your songs. When we release negative preconceived notions about our vocal ability then singing becomes an incredibly transformative experience. We will identify the key triggers which can sabotage your singing ability and learn how to apply this knowledge in your lessons. Through relaxation techniques, emotional releasing, imagery, and mind-body awareness I will help you overcome these fears. We will work on songs which are best suited for your personality and voice. These songs will further your vocal growth and strengthen your sound. We will prepare them for any number of events whether it is for auditions, performances, karaoke, weddings, choir solos, or simply for your own personal satisfaction. You will also gain knowledge about vocal repertoire and expand upon your understanding of musical styles, basic music theory, and rhythmic understanding. For those who desire, we will delve into the world of Sound and Music Healing, where you will free yourself from emotional and physical wounds such as the aftermath of trauma, hurt, pain, childhood fears, regret, sickness, or loss. The voice is a gateway to the soul; as you learn about your voice, you will learn also about yourself. Singing is really so personal in nature and I am blessed with students who trust me as the keeper of their life stories as we work through these areas together. I also work with students in leadership positions who are looking to have greater command of their speaking voice and develop strong public speaking skills. By using singing as a vehicle to achieve your goals you will have better control of your vocal ability, increase your confidence, and communicate more effectively. A: I teach from ages 7 to adult, however my instruction is quite different for my younger students. Please inquire about specifics. A: I teach many different styles, which include but are not limited to musical theatre, classical, folk, country, R&B, rock, pop, hip hop, Hebraic chant, yogic chant, world music, Jazz, as well as singer/songwriters who compose their own music. Q: Do you teach beginners with no prior vocal experience? A: I teach students at all different levels from very beginner with no prior vocal experience to advance. It is normal for beginners to feel some initial trepidation, shyness, and nervousness about learning how to sing, but as you progress in your lessons you will alleviate these fears, sing with joy, and open your heart and mind. Q: I have had vocal issues all my life. Is there anything you can do to fix these problems? A: Through my expertise I have helped many students identify issues with their voices. Many students express frustration about hoarseness, vocal fatigue, strain, and overall unhappiness with their vocal quality. Some students also come to me because they developed nodules, nodes, callouses, and acid-reflux. The great majority of these issues were rectified through increasing their understanding about the voice, rigorous vocal therapy, and guidance. Q: Do you teach group classes? A: I teach group classes for a maximum of two students. Q: Do you teach International students? A: My studio is incredibly multicultural. I have students from all over the world singing in a multitude of languages. Q: What are your teaching hours and how long is each lesson? A: My teaching hours are Monday through Friday, from 9:30 AM to 8:30 PM. On occasion, I also teach Saturday mornings. Each lesson is 60 minutes. Q: Are you currently accepting new students into your studio? A: My private vocal studio is located in Midtown-West Manhattan, West 60th Street between Amsterdam and Columbus. I am just one block from the 59th Street Columbus Circle subway station (Subways A, C, B, D, 1, N, Q, R).